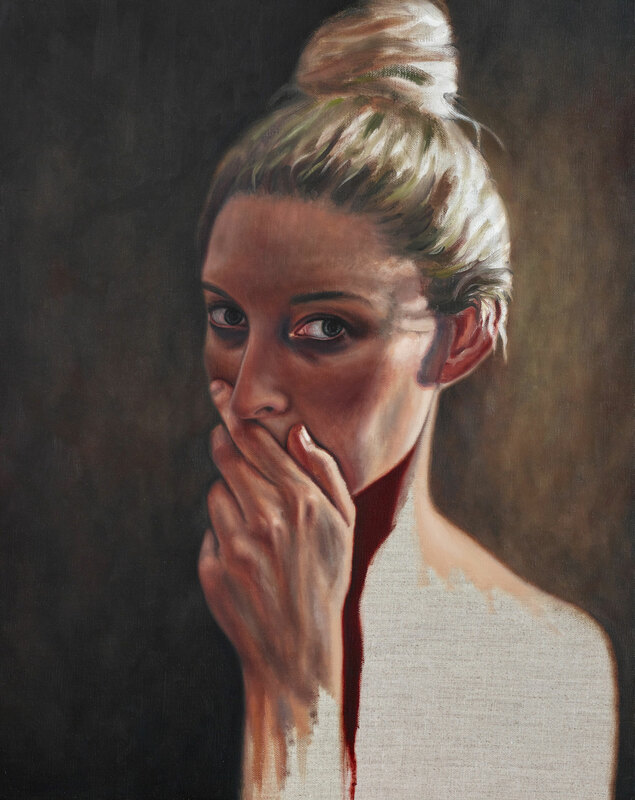 Kirsty Neilson’s painting is a self-portrait depicting what anxiety looks and feels like. ‘Anxiety disorders are the most common mental health issue in Australia. On average one in every four people will experience it. I have battled with excessive anxiety since I was 15. It was triggered by performing as a pianist and it has carried into my adult life,’ says the Sydney-based artist who studied at the National Art School. ‘For me, anxiety is like having an outer-body experience where logic doesn’t exist and the voice in your head is not your own. I was hung in the Archibald Prize in 2016 with my portrait of Garry McDonald, which depicted his struggle with anxiety and depression. However, it also reflected my own mental health.